The Sonodisc Picture Catalogue(s), African pages. Below is a short introduction, the reason why, a mailaddress and credits. The subject of these pages is the African pages of the Sonodisc picture catalogues. The pages shown are from two of the catalogues. These catalogues are in LP-format and contain pictures of most of the LP:s distributed by Sonodisc when the catalogues where printed. 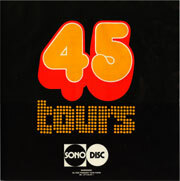 There are also listings of LP:s and Singles distributed by Sonodisc. 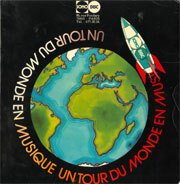 The catalogues shown are from the late 70's and the picture pages shown are only the pages containing "African music" LP:s, the listings and index pages shown are all the listings and index pages for the 33 and 45 rpm records distributed by Sonodisc and are not restricted to the "African music" labels. I have two of these catalogues and as far as the African pages go the later catalogue includes all the pictures of LP:s in the earlier catalogue except for the Guinée-Conakry pages where there are minor differences. Therefore are only the pages from the second catalogue presented except for the Guinée-Conakry pages, there are the pages in both catalogues presented. At last a remark regarding the word "African". 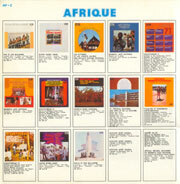 Sonodisc distributed a label by the name of "African". For many years it was their main label for African music and consisted almost only of music from Congo/Zaïre. In the two Sonodisc picture catalogues covered here there is not a trace of the "African" label so when the word "African" is used here it's only meaning is "coming from Africa, of African origin". The reason why and credits. If you have any information please mail it to "disco at bolingo dot org"